1. 10 outputs for slimming. 2. Special LCD display with 8 different level slightly adjustable intensive output. 3. 5 different waves presented at AUTO mode. 4. Single action program can be settled. 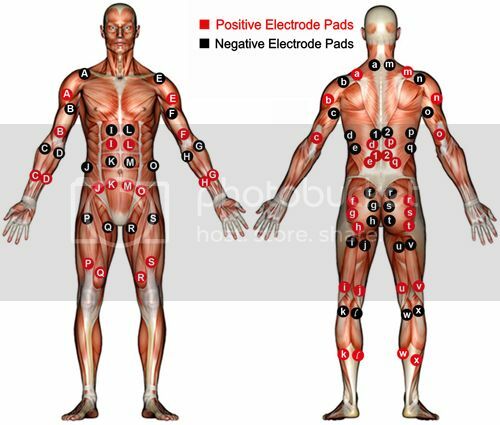 The Electronic Muscle Stimulator produces micro-currents via the electrodes. It impulses the motor nerves so that the targeted muscle groups have to exercise passively in the way of expanding and contracting. The EMS therapy can enhance the metabolism by improving blood circulation. It enhances the muscle strength, endurance, and reduces fat. It helps to remove toxin and relieve pain, too. EMS has been widely used in physical therapy, fitness training, and beauty rejuvenation recently.